Daily Mail reports a Pulitzer Prize-winning journalist says that the official account of the raid which killed Osama Bin Laden in 2011 is ‘one big lie’. Seymour Hersh, 76, said that ‘not one word’ of the Obama administration’s narrative on what happened is true. In an interview with The Guardian published today, Hersh savages the US media for failing to challenge the White House on a whole host of issues, from NSA spying, to drone attacks, to aggression against Syria. He said the Navy Seal raid that supposedly resulted in the death of the Al-Qaeda terror leader, Hersh said, ‘not one word of it is true’. 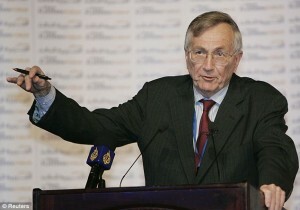 According to Hersh – who first gained worldwide recognition in 1969 for exposing the My Lai Massacre and its cover-up during the Vietnam War, for which he received the 1970 Pulitzer Prize for International Reporting – the problem is that the US media is allowing the Obama administration to get away with lying. 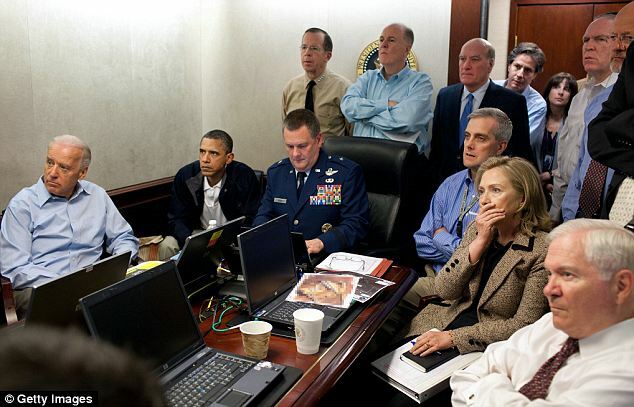 The White House has refused to publicly release images of Bin Laden’s body, fuelling suspicion they are withholding information. Although the White House said the corpse was immediately ‘buried at sea’ within 24 hours of his death in line with Islamic tradition, it quickly emerged that this was not standard practice. It has also been suggested that the White House has changed its story multiple times, according to infowars.com. They initially claimed that pictures from the ‘situation room’ show Obama, Vice President Joe Biden, Hilary Clinton and the rest of the security team watching the raid live, when in fact there was a blackout on the feed. Neighbours close to the Pakistani compound in Abbottabad also said they had never seen Bin Laden in the area.